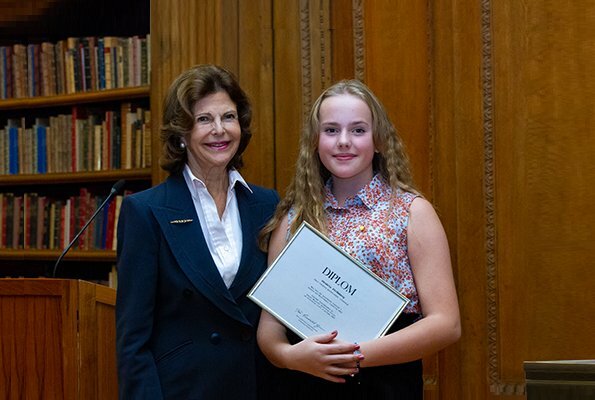 On October 9, the students who have participated in Mayflower donation campaign and who have collected the highest amount donations came to the Royal Palace to receive their diplomas from Queen Silvia. 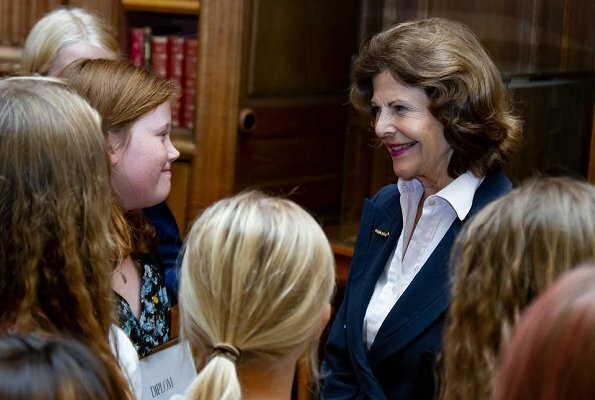 Queen Silvia presented Mayflower 2018 diplomas to 6th-8th grade students of Adolf Fredrik Music School who have collected the highest amount donation. 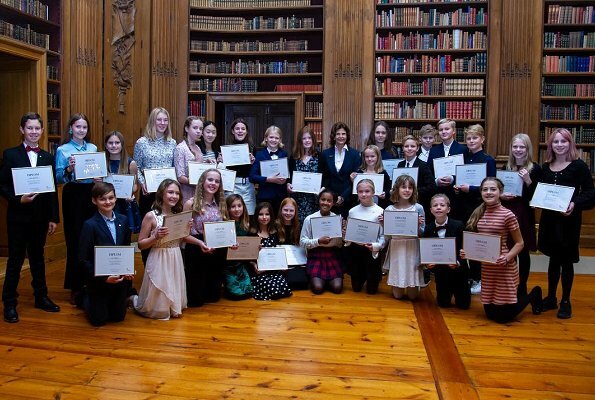 The money collected by Mayflower donation event is used all year for children to lessen the effect of poverty and financial defenselessness. Simple and elegant as always. Nice event. On the 2 pic is this girl wearing make up? 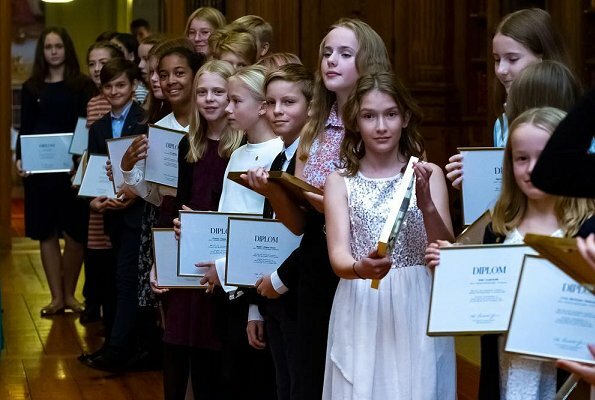 She (girl) don't look bad with it but I would say a bit too young,OMO. The Queen looks good as always.